Wilco came back at Stubb's, almost exactly two years since they played here last. (They also played at the Austin City Limits Festival, which was the first time I saw them.) This was the first of two sold-out nights at the venue on this tour, and they also played an afternoon set at Waterloo Records (announced only the day before!). William Tyler opened the evening on his own; he played solo electric guitar in a mesmerizing, mostly fingerpicked style. All of his songs were instrumental, and he only used a few modest effects and loops to augment them. He really just focused on his technique and his skill at writing great chiming guitar passages. He made a great sound that came across very pretty and very serene. He made half an hour go by before I'd realized any time had passed at all. His only mistake was a misguided attempt to play with feedback at the end of his set; it just came across as textureless, harsh noise. I rather like "EKG", even if it is a throwaway, and I was originally harboring hope that they'd play it live. Nonetheless, Star Wars starts off in earnest quite strong: "More..." and "Random Name Generator" are both great songs, instant singalongs, and just generally solid jams. Nels Cline was already tearing wildly into the latter. "The Joke Explained" is almost as good, and "You Satellite" takes things in a different direction, trading the rock 'n' roll swagger for a wide, slow build. The instruments give each other more space to breathe and grow, and by the end Cline was again soloing in his joyful, chaotic fashion. "Taste the Ceiling" is another song of the classic mold with a steady beat with a slight country touch. But this is where things begin to break down on the album, and by extension, on stage. The back half of the album features a bunch of songs that seem like a bit of an afterthought. They're all fairly short, they all sound like Wilco-by-the-numbers, most of the titles don't make sense, and the lyrics are a mixed bag. Two of them even feature the exact same beat and tempo, making the transition from one to the next difficult to discern. Even on stage, it was easy to miss. Since neither has many particularly distinctive qualities, this seems like a deliberately poor concept. At least the album closer, "Magnetized", is a bit better. It's still far from revolutionary or bold, but its got good hooks and a decent sound. I like it. Played live, I realized partway through that I couldn't hear any keyboards in most of the songs ("Magnetized" being the main exception). This struck me as odd for a band so noted for their elaborate keyboard arrangements ever since Jay Bennett joined the band. Mikael Jorgensen was playing on every song, but he simply wasn't audible. Later in the show, he was much more present in the mix, but it seemed he was deliberately obscured for the album set. Similarly, multi-instrumentalist Pat Sansone stuck solely to his guitar for these songs, although those parts were also oddly hard to discern. I was struck that the new album has a simplicity uncommon for the band, although there are of course exceptions, such as "You Satellite". This approach seems decidedly detrimental in some songs, although it perhaps works well for others. At any rate, after finishing the run-through of the album, Jeff Tweedy finally addressed the audience and thanked us for listening. There was only a brief pause before they began the brooding "At Least That's What You Said", where Tweedy finally brought out his lead guitar skills. When Cline joined in as well, it made for quite a sight. Sansone finally took the keyboard for this one, and Mikael was at last audible as well. This was followed by "Camera", played in a heavy style as found on the More Like the Moon EP. This was an unexpected highlight for me, as I think it's a great song in any version, and the heavier take is much rarer. By the time they got to the always-awesome "I Am Trying to Break Your Heart", I was ready to forgive them for playing the entire weaker half of Star Wars. 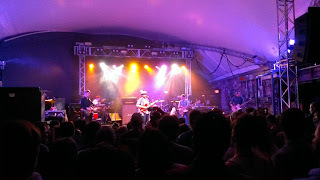 Wilco kept up the energy and kept the great songs coming one after another. There was hardly a dull moment for the rest of the night, and the band played in top form. Cline's guitar and noise work was always particularly thrilling, but his solos on "Art of Almost" and "Dawned on Me" were especially remarkable. I was pleased to see Tweedy throwing in some solid solos, too, as in "I'm the Man Who Loves You". "Impossible Germany" was another highlight if for no other reason than that Cline, Tweedy, and Sansone all got to play lead guitar simultaneously. The instrumental passages may have gone on quite long, but when they are written and performed as well as this was, one simply cannot complain. I don't want to overlook John Stiratt or Glenn Kotche, either. 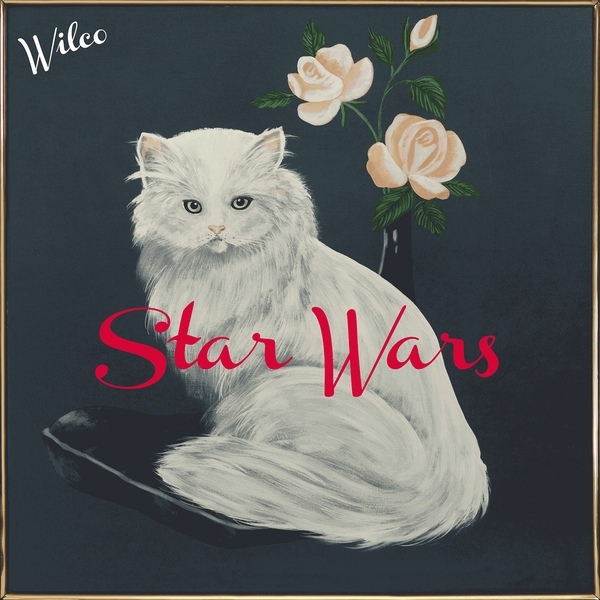 Stiratt's bass has always been one of my favorite parts of the Wilco sound, and his basslines are particularly strong on the better half of Star Wars. His backing vocals are perhaps under-appreciated, but on stage it is obvious that his harmonies are an essential element of the band as well. While his voice has a countrified inflection that might otherwise annoy me, in tandem with Tweedy they balance and strengthen each other. Kotche's moments to shine were of course "I Am Trying to Break Your Heart" and "Heavy Metal Drummer", but there were plenty of songs where his drums drove the song. The band hardly paused between songs, often barely even letting one finish before the guitarists were exchanging instruments and preparing to dive right into the next one. This careful strategizing allows them to pack as many songs in their setlist as they can. They played 24 songs in 100 minutes before finally walking offstage. Of course, they came right back, but only for one song: the long, droning "Spiders (Kidsmoke)". I was worried this could be the end, but in the dark I could see the stagehands rearranging the stage. When the band returned for the second time, they settled down at the front of the stage with acoustic guitars and a minimalist drumset for Kotche. The entire final set was done solely with acoustic instruments, similar to their recent performance on KEXP. I liked the change of pace; it was a nice way to do something different but still have space to shine. Some of the songs worked better than others in this setting; "Casino Queen" has never been their strongest song, but "I'm Always in Love" and "A Shot in the Arm" both worked quite well. Jorgensen switched to melodica and Sansone to banjo or xylophone for most of the songs, and while they were sometimes hard to hear in the mix, the arrangements were great. Cline's slide guitar was still the primary instrument, but the dirtier, earthier tones actually reminded me somehow of Blixa Bargeld's trademark guitar sound from his days with Nick Cave and the Bad Seeds. "It's Just That Simple", the only Wilco song written by Stiratt and featuring his lead vocals, bears a certain charm that fit right in with the set. I find it endearing enough that I rather wish Stiratt would write and sing more often. "California Stars", however, is an undisputed three-chord masterpiece, and the band made the most of it by trading solos between the verses. I only wish they had played more songs from the Mermaid Avenue albums. 31 songs in less than two and a half hours is fairly impressive, especially when many of the songs are not at all brief affairs. 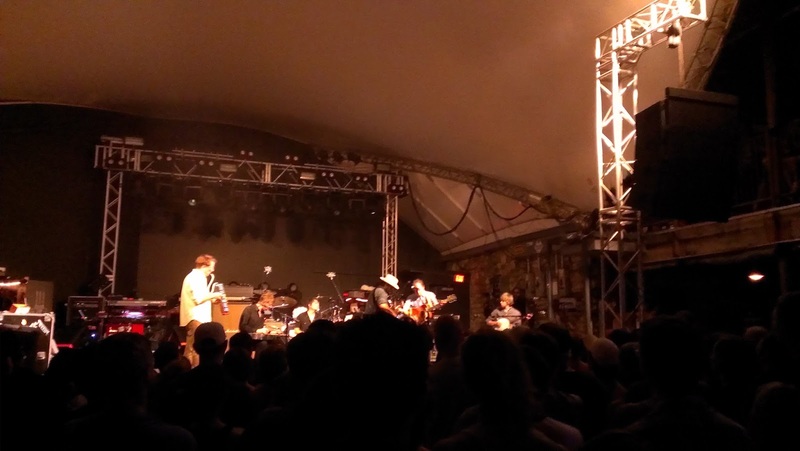 Wilco have a tendency to play and replay about half of their back catalog while consistently ignoring the other half, which makes their setlists always slightly different but never wildly unusual. This is a blessing and a curse: they know what their best songs are, and you'll usually hear most of them at any given concert, but you also rarely get surprises. However, while it could be pure coincidence, it does seem like they tailor their setlists for each city to maximize the variation over time for a given audience. At any rate, their high level of energy and musicianship combined with a very good setlist made for an excellent evening. The full album performance of Star Wars might be imperfect, but the night only got better after the weaker half of the album was over. P.S. The setlist for the second night can be found here. It actually is quite different than the first night, perhaps leaning a little more towards the obscure. I wish I'd seen "A Magazine Called Sunset", though!